Hello again! A fun few weeks away, Iron Maiden, Killswitch Engage, 5th Anniversary trip, recording for World Beyond, more techno mastering + some Better Than The Book album updates! Hello again! It's been a fun and very busy few weeks since the last blog post, and I've only been in the studio for about half of that time! Long weekends away on trips and deadlines to meet during the weeks, I've not had time to post the blog over the last couple of Thursdays, so in this blog post, I'll share some of the fun holiday stuff I've been up to as well as the exciting audio work I've been doing during the week. Let's start with highlights of the summer holidays! So the first trip was back to my home town, visiting friends and all that jazz, and heading up to London for the final date of Iron Maiden's Legacy of the Beast tour with guest support Killswitch Engage. It was the 5th time I'd seen Iron Maiden live, and I'd been wanting to see Killswitch for well over a decade too so I was super excited for this gig which I'd had tickets for since last year! Simply put, it was the best Iron Maiden gig experience yet, both bands completely exceeding my already high expectations for them and everything about the night was stunning! Starting with Killswitch engage, I think the only songs I didn't know were the first 2 they played (which were from the new album), but the rest of the awesome set-list I was singing and screaming along to. Fantastic performances all around, then for "The End of Heartache" Jesse Leach (the current and original vocalist) invited the former vocalist Howard Jones who brought the band into the mainstream to the stage to sing it in duet with him!!! 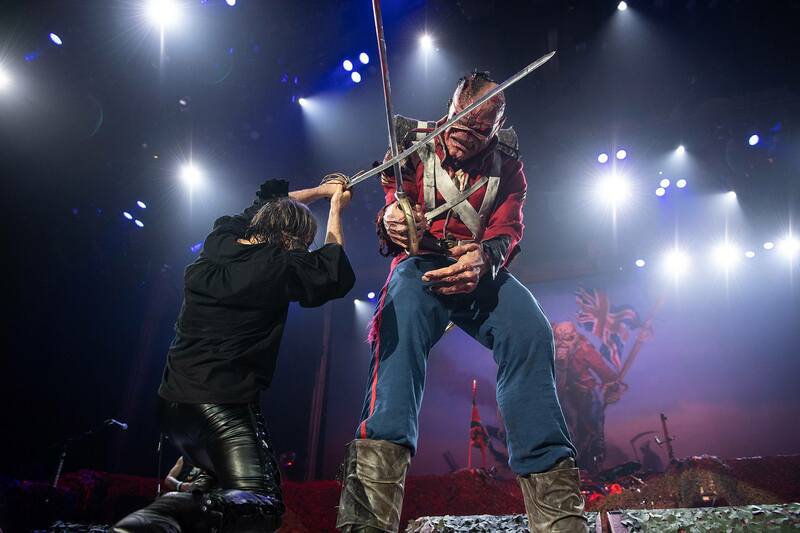 Apparently it was only for the 2 London dates of the tour, and it was emotional, magic and brutal! Not my camerawork, but here's footage of the moment! Amazing! Iron Maiden really had to pull out all the stops to follow that performance, and they didn't hold back at all on making an absolutely fantastic show, undoubtedly the best one yet! Everyone was as energetic as ever (including the audience), and Bruce was on top form running around and leaping around the stage, with a whole treasure chest of costumes and props throughout the concert! 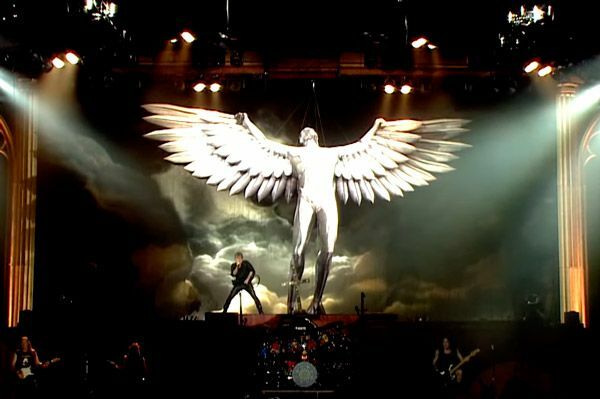 There was the usual walk on Eddie, the big behind the stage Eddie for "Iron Maiden", TONS of pyrotechnics including Bruce dual wielding 2 flamethrowers for "The Flight of Icarus", and lots of changes of the stage from battlefield to church settings, and more! 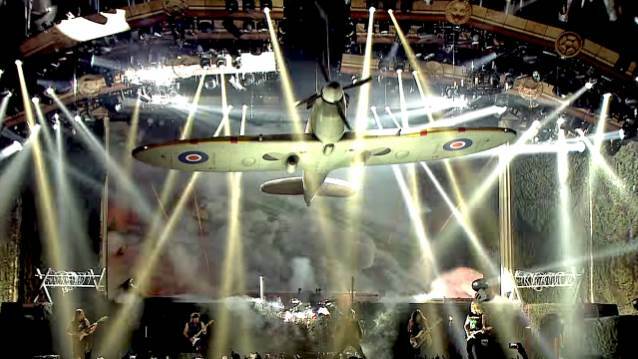 The set-list was a fantastic mix of old, middle and recent (It was a greatest hits tour), and the opening was as epic as ever, Churchill's WWII speech going into Aces high with a SPITFIRE SUSPENDED ABOVE THE STAGE!!! WHAT A NIGHT! My dad got some great footage of the opening of the gig too (They always play Doctor Doctor over the PA just before they come on stage)! Fantastic! The following weekend was special in a completely different way as my girlfriend Eva and I celebrated 5 years together with a trip to Buxton in the Peak District. We walked / climbed the various hills near Castleton, the main and steepest one being the "Mother Hill": Mam Tor, explored Buxton's Pavillion Gardens, Pooles Cavern Caves (guided rather than free exploring), climbed the hill above the caverns to Solomon's Temple, explored the town itself where I found and playing on an old foot pumped reed organ in a bookshop, and ate more tasty food than I think we needed! Overall a fantastic trip! Love you, Eva! 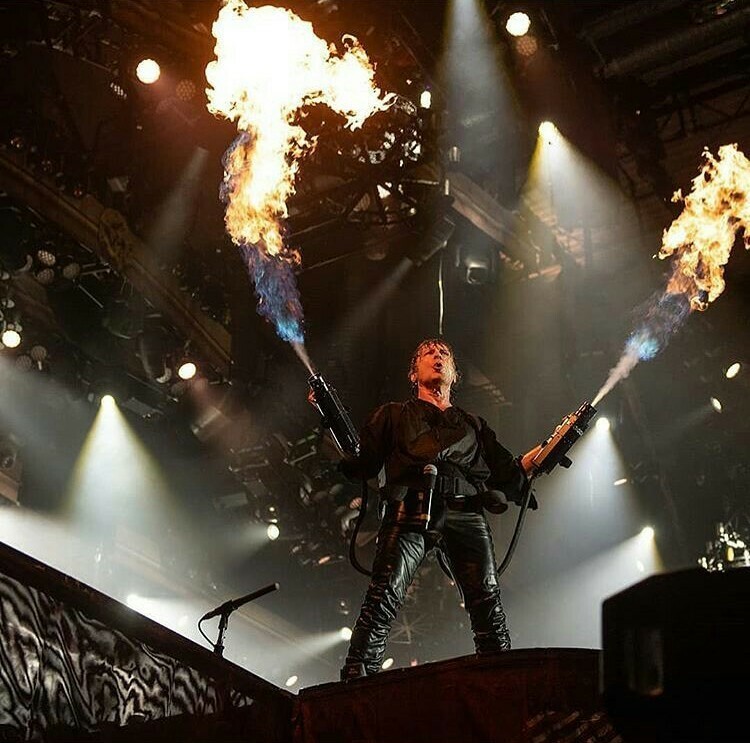 Onwards from trips and onto audio news, The week after Iron Maiden was spent busy recording some final guitars for the upcoming World Beyond album, as well as giving feedback on the current mixes, discussing track order and many other things. It's been a while in the making, but I'm positive the wait will be worth it as it is sounding simply fantastic at the moment. Still no ETA just yet, but I'll let you know when I have something to share. Looking forward to it! Onto the week following the Buxton trip, I was busy mastering another techno track for Dutch DJ/Producer Oakwood ready for a gig the following weekend. The track hasn't been officially released just yet, but I'll be sure to share it here when it drops as it's another great and hard hitting banger! More music to look forward to! Finally for this week, some updates on the Better Than The Book album. Since it's been such a busy few weeks and weekends, I haven't had a whole lot of time to work on finishing these last few tracks and interludes, but I'm happy to say that as it currently stands, 9/10 tracks are now fully recorded and awaiting final editing / mixing! There's still the interludes to sort out too (up to 4 of them), though after a long sample hunt during last weekend, it's proving more difficult than first anticipated to find the right usable and available samples, so I may cut back on these. I'll focus on the last song first though, then have another sample search soon! Looks like next month will be a month of interludes! And that's about it for this week! I hope you didn't miss the blog too much in my absence but things should be back to the usual schedule now for a little while at least. As September comes around next week, I'll be sending the next JabunAudio music production email out soon (sign up on the home page if you're interested), and next week's blog post will no doubt be the usual beginning of the month reflective post. As for audio work this week, I'm aiming to get the final BTTB song of the album finished recording before the next blog post, though there's lots of beginning of the month admin and other stuff to do too, so we'll see how that goes. Until then, I hope you have a great week and thanks as always for supporting JabunAudio and my various projects. Take care! I think I recognize some bits from this one! XD Sounds like an awesome time, and good progress in addition. A great week to you too! Ah, well that's nice to know. :D Does makes sense to write the same things as few times as possible! Cheers!